BRAIN 2.0 - A Scientifically Proven System Designed To Accelerate The Evolution Of The Brain And Enhance Your Cognitive Abilities Beyond Human Limitations! The human brain sets us apart from all other species on Earth by enabling us to achieve all sorts of wonders that practically no other species have been able to do. Feats such as walking on the moon, composing masterpieces of art, literature, music, innovating and incorporating technology into our lives... all these have been made possible because of that spongy, three-pound mass of fatty tissue. Yet, for all of its comparisons to our own modern technological innovations – such as a telephone switchboard and supercomputer – the human brain is a far more complex mechanism than we can ever imagine. Despite the vast leap in technological advancements, we still have yet to discover the full extent of the human brain’s capabilities. For all the years of research in neuroscience, a large majority of the world’s population is still only capable of using a mere fraction of their brains; between 5% to 10%... or at least that’s how the popular myth goes. The thing is, it isn’t true that we use that little of our brain at any given time; each part of the human brain has a purpose. Yet the average person has no absolute control over the functions of the human brain. 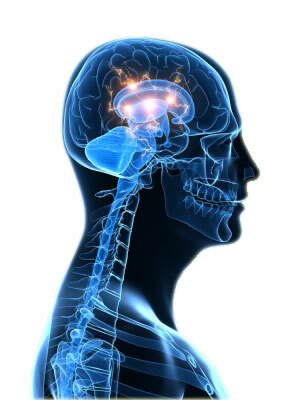 The average person lacks the capability to access their own mind at will to “prioritize” each function of the brain. "I've noticed a remarkable difference in my ability to absorb and retain new information since using Brain 2.0. I learned a new language in half the time it took for me previously!" Imagine if you could divert “power” to specific parts of your brain to boost the performance of a particular part of your brain. For instance, if you were to learn a new language, you would influence the Broca’s area that enables language production (speech or sign) or the Wernicke’s area for language comprehension (speech or sign). And because the human brain is so complex that it is capable of much, much more, there are so many other areas of the brain that you have yet to seize control of. Areas that determine the likelihood of you achieving everything you've ever dreamed of. Whether it's health and longevity, or a lifetime of success and abundant riches, all these can be achieved through the enhanced mental capabilities of a highly evolved brain. Although human evolution has enabled us to make significant progress with regards to our physical and mental capabilities, it would take hundreds, or even thousands of years before we’re able to tap into the full potential of our brain. Or it would take just one click of the mouse. Introducing BRAIN 2.0 – A Scientifically Proven System Designed To Accelerate The Evolution Of The Brain And Enhance Your Cognitive Abilities Beyond Human Limitations.